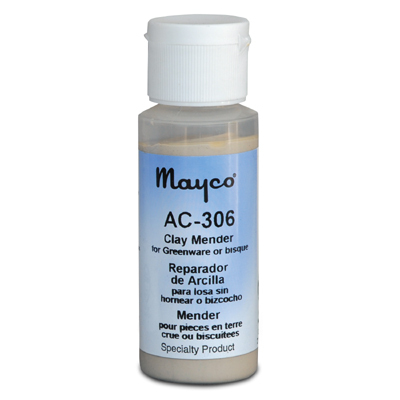 Clay Mender is used to stick wet or dry pieces of greenware together. It is more than just liquid clay. It has chemicals in it that makes it a stronger bond than the existing clay that it mends. It can be used on bisque to join two pieces together, but is primarily for greenware use.